President Donald Trump's administration has signaled that it has no immediate plans to change the H-1B program. Critics are roiled. They wanted Trump to act before April 1, the day the U.S. accepts visa applications for the new year. But no one knows for sure. New rumors circulate that Trump will act, maybe next week, but the White House won't say. The IEEE-USA said Friday that Trump's inaction on the H-1B visa "will cost American jobs." The group now believes that action before April is unlikely, and that may be because of something Sean Spicer, the press secretary, said this week. Spicer was asked at a press briefing Wednesday if there was any plan to "revamp the H-1B program by April 1." Spicer said the president was focused on border security. Regarding the H-1B program, Spicer said: "There is a natural desire to have a full at -- a comprehensive look at that." He gave no hint as to when that might happen. Trump repeatedly called for reform during his campaign and after, the IEEE-USA points out. "By Trump not yet keeping his promise, American tech workers will continue to lose their jobs and their ability to take care of their families," said IEEE-USA president Karen Pedersen, in a statement. "This is in direct contrast to what he told us all last year." Industry analysts, however, see what's unfolding a little differently. They do believe that the Trump administration is impacting IT services, even indirectly. 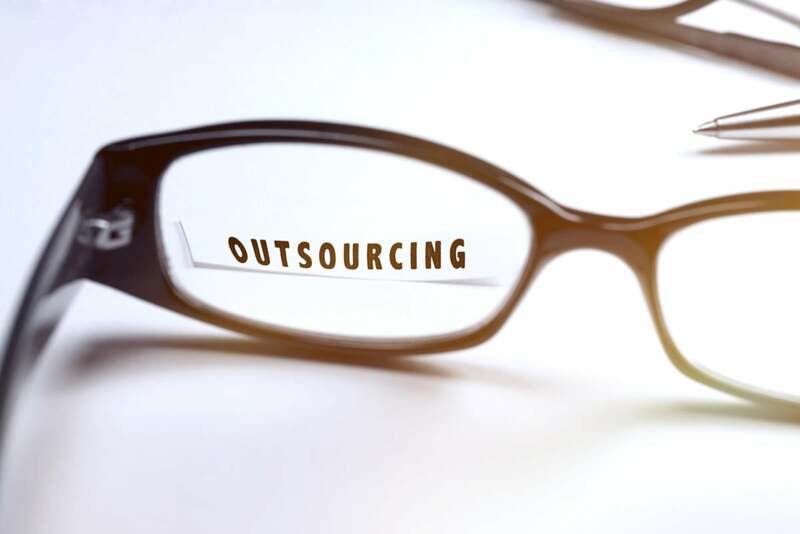 "It is clear that many firms are postponing or canceling offshoring activity, as they wait to see what happens on the political front," said Peter Bendor-Samuel, the CEO of outsourcing consultancy and research firm Everest Group. This is actually "accelerating the adoption of the new digital models which do not require offshoring." "No U.S. firm wants to be tweeted about," said Bendor-Samuel. Clients -- firms that buy IT services -- are nervous about the environment, said David Rutchik, executive managing director at Pace Harmon, an outsourcing management consulting firm. Senior-level corporate executives, including CEOs, are concerned. They are worried about news coverage, or worse, being "called out on Twitter" by Trump for outsourcing jobs, said Rutchik. "They are afraid of what it may look like politically." This may be hurting the bottom line of some IT services firms. For the top five Indian services firms, Everest is forecasting revenue growth declining in constant currency from 8.7% last year to 6.3% this year. Rutchik said public companies will still be under pressure to deliver cost savings and may outsource nonetheless, but he expects system that automat processes to also gain in adoption. The analysts say political uncertainty is prompting IT services firms to hire more U.S. nationals to reduce reliance on visa workers. The political climate is "telling the providers that they need to step up their focus on building out capabilities and resources in the U.S.," said Rutchik. The U.S. distributes the H-1B visas by lottery shortly after April 1 -- if it receives more petitions than the cap. Last year more than 230,000 petitions were received. Critics had been hoping that that Trump might change the visa distribution from a pure lottery to a system that gives preference, for instance, to non-dependent H-1B firms, those with less than 15% of their workers on a visa. That change would have put India-based firms in the back of the H-1B distribution line, but IT services such firms as Accenture and IBM, which are not H-1B dependent, would have been unaffected. Trump may still take action on H-1B visas apart from the lottery, says Bendor-Samuel. As an example, he points to the administration's recent action to suspend fast-track premium processing for six months. "Providers are not home free this year and face increased resistance to their model regardless of the delay in the actual law changes," said Bendor-Samuel. "The net effect is that they will be able to utilize H-1B, but at a greater expense and to a lesser degree." But the IEEE-USA believes that IT outsourcers get as many as 50,000 of the 85,000 H-1B visas. "Rather than using H-1B workers themselves, outsourcing companies rent their workers to third-parties at below-market rates. American workers, after training many of these new employees, will lose their jobs," said Pedersen. This story, "Fears arise that Trump has dropped ball on H-1B reform" was originally published by Computerworld.